Join with KI congregants of all ages in packing and delivering 170 boxes of groceries in South L.A.
For more information and to sign up, email michael@oneononeoutreach.org. 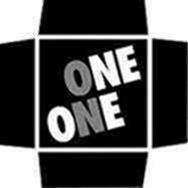 Co-founded by KI member Michael Schwartz, One on One Outreach is a 100% volunteer organization that helps to feed low-income families in a specific neighborhood in South Central Los Angeles. Once per month, from January through October, One on One Outreach volunteers pack and deliver 170 boxes of groceries to families door-to-door. In November, volunteers deliver frozen turkeys, and, on Christmas Day, they deliver toys.